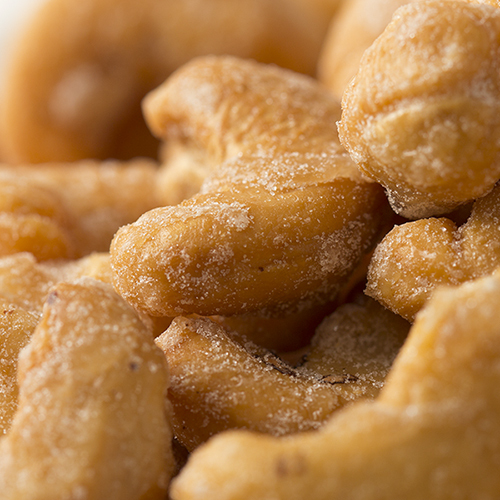 Fastachi's salted cashews are roasted only with peanut oil and salt. Nothing else needs to be added to this already delicately flavored nut. 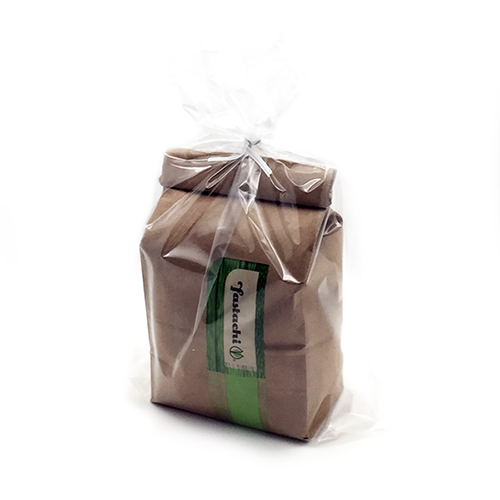 Fastachi's salted cashews are roasted only with peanut oil and salt. Nothing else needs to be added to this already delicately flavored nut. Mix them with other nuts and dried fruits to create your very own special mix or indulge in a handful of cashew nuts by themselves. 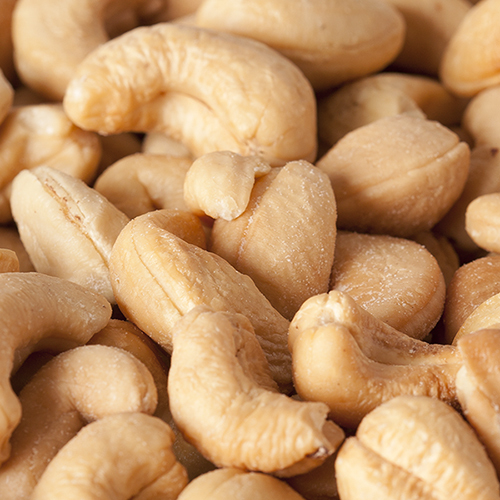 Either way don't feel guilty - as with all other nuts, cashews are considered healthy. Cashews have a lower fat content than most other nuts; approximately 75% of their fat is unsaturated fatty acids. Cashews are also a good source of magnesium, high in proteins and low in carbohydrates, rich in copper which is needed for maintaining healthy collagen; a substance that lines blood vessels and supports the skin and joints. Cashew Fact: Cashew nuts are actually the kidney-shaped seeds that grow at the bottom of the cashew apple, the fruit of the cashew tree. NUTRITION FACTS: Serv. Size: about 1/4 cup (33g). Amount Per Serving: Calories 200, Fat Cal. 140, Total Fat 16g (24% DV), Sat. Fat 3g (14% DV), Trans Fat 0g, Sodium 100mg (4% DV), Total Carb. 10g (3% DV), Fiber 1g (4% DV), Sugars 2g, Protein 5g, Iron (10% DV). Not a significant source of Cholest., Vitamin A, Vitamin C or Calcium. Percent Daily Values (DV) are based on a 2,000 calorie diet. INGREDIENTS: CASHEWS (CASHEWS, PEANUT OIL, SALT). 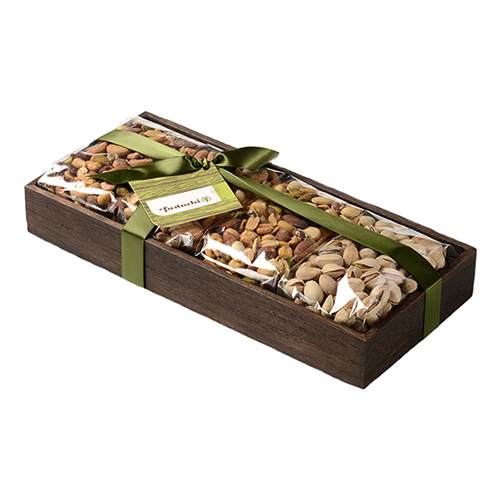 I saw the Chronicle piece on your store, so I decided to try some of your nuts. Delicious!!! We have visited Fastachi many times during visits to Boston. Their nuts are very fresh an delicious. the best we have found. I buy the salted and unsalted cashews and mix them together to get the right amount of salt for me. I have always been happy with Fastachi. The Cashews are always fresh, meaty, with just a right amount of salty flavor. Quick delivery! Huge Cashews! Lightly salted tastes great. I love to pair these cashews with fruits and sometimes I buy them in bulk to process them into cashew cream.